I don’t know about you, but I thrive on the turn of a page, the anticipation of a great cliffhanger, the perfectly constructed cover, the long-awaited new release… Books. They’re the faithful friends who are there to bail you out of jail when you do something bad. They’re the ones to make you laugh in those times when glum is all you feel. They can put a smile on even the toughest of those with a horrible case of Resting B*tch Face. They can make you cry. Make you snicker. Make you think. They can influence your day. Illuminate a dark moment. Or darken the light. the rain or the path of a spilled drink. My books are loved. They are family. Friends. Enemies. Mentors. An escape. A reminder. Inspiration. 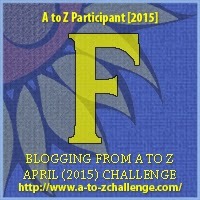 Today’s post for the A-to-Z Challenge is brought to you by the letter B! #BookBlogWriMo Day 4 – Why Do I Read? Reading is a gift. I get to travel wherever I want, be whoever I want, and escape whenever I want. The stories I get lost in are the ones that give me relief from the every day. I read because I can. Because I was raised with the written word as a friend and encourager. I find joy in discovering those novels that leave their mark on me, imprinting and causing me to think about them for days. I love to read because I enjoy the taste it leaves in my mouth. I crave reading like an alcoholic craves her/her next drink. My world makes more sense because of books and literature of any kind. I am thankful for books. Gosh, there are so many reasons why. Books saved my life, my sanity, and my heart. They allow me to do all of the above, to travel to places I will never actually go physically, and to exercise my imagination. They are a gift that keeps giving and I am addicted to owning them all. I’m feeling a bit nostalgic when I think back to the beginnings of this blog; books are where it all began. I’ve been reading since I was very little, I started very young and haven’t been able to stop since. Books make my world go round and I can’t ever have enough. Of course, I prefer those good ol’ sturdy paper copies, but I’m warming up to my Kindle. There’s nothing like that smell of book, mixed with the crinkling of paper as pages turn. The first page is the first step into a new adventure. I’m thankful for such a wonderful escape. It’s like the Pagemaster – I can choose if I want fantasy, horror, adventure… humor, serious, psychologically thrilling… it’s all at the tip of my fingers and I’m very fortunate to own so many wonderful books. My collection grows all the time as my husband and I fill out bookshelves with everything we love, and even some we don’t know yet. Hey.. if you’re ever looking to pass on some amazing books, keep me in mind. This is a really exciting time in my life – as I’m expecting my first little one on about 10 weeks. Time has flown by, potentially at warp speed. My belly is out to there and I’ve been a bit sleepy. Baby is kicking and squirming up a storm these days, which I love! My book-themed baby shower is next weekend and then we will get to go house on our literary themed nursery preparation. Pictures and posts are surely to come about those! I started my leave from grad school this month, so I’ve had a lot of time to read! This week I’ve worked through two books, so that means two reviews are coming this weekend! I’m looking for some good ideas for decor for the book nursery – what are some of your favorite childhood books? Book quotes? etc. Life sure does have a habit of hopping in the way of, well, life. At least that’s how it was for the first few months of this year. This life, however, is one I’m so excited about. I’ve been “growing a baby” since January and I can’t wait to meet him. While this little bundle of crazy kicks and internal snuggles is growing, I’ve also been doing some other fun things. I’ve been working my regular job and continuing my grad school work slowly but surely. Beyond that, I’ve been working my fun job! Editing! Earlier in the year, I edited Michele’s newest book Into The Fire. This book is so well-written – you can read my review on Amazon here. The last couple of months have been spent doing a cover-to-cover re-release edit of both of Michele G. Miller’s Prophecy of Tyalbrook books. Let me start out by saying that Never Let You Fall was my first introduction to Michele. I got it for free as a special deal when I got my Kindle and figured “Hey, why not?” Prior to this I really hadn’t read much indie work… then BAM! I met Skye and Xander, and then searched Michele’s author page on Facebook. The rest is really history… At this point, I’ve edited five of her books on some level. Now I’m back at reading again and it’s wonderful. For those of you who visit my blog regularly, you may have noticed there has been a significant face lift. I’ve edited my pages, added surveys for book review requests and editing service inquiries. I also added a glossary of the reviews I’ve posted to this blog. I’m liking it thus far. What have you been up to? Are you reading anything interesting? Share below! I don’t care about you, but most of all, I don’t care about me. I need to be numb. You don’t want to know how. I appreciate that I can always count on Lindy Zart to deliver a great story. I know that when she’s working on a project, one of her many WIPs, it’s going to be something good. And they’re all so different from one another, keeping her readers on their toes, that we don’t really know what to expect next. I’ve been a little busy lately; between editing, school, my full time job, and growing a baby so I really haven’t had as much time to read as I’d like… but I made it a point to bump Smother to the top of my list. This was a “before bed” read – you know, the kind that you’re already tucked in tightly under the covers, between the walls of your pregnancy pillow, and you tell yourself “Just one more page” and swipe your finger across your Kindle about 25 more times, repeating this mantra as your eyes droop closed? Ya, this was that kind of read. I love Smother. Beyond love. There’s something about a darker novel that takes you to a different place. I don’t often opt for the darker stuff, but I’m so thankful I did with this one. Zart conveys the struggles of the effects of the past on a person with grace and realism. The past can haunt us in so many ways and how that manifests itself is different with each person. Zart does an excellent job building the characters in this story and really driving their flaws home. I went into this novel with preconceived expectations, “You’re going to hate the main character at first.” However – it was quite the opposite. I was intrigued and wanted to know more. And boy did Zart deliver! The details are all there, the darkness doesn’t have many flecks of light, and the dialogue is shifty and true to reality. Each character has their own speech patterns and pesky little habits that make them stand out, or blend in. Another thing I found to be intriguing and wished there was more of was the use of art and pictures to depict what the mouth is unable to say. This story is truly a showstopper and is rough around the edges (in such an excellent way), just like the characters. The notion of only allowing ourselves the things we believe we deserve hits each of us in some way; most of us have been in a dark place because of one thing or another. Those dark places can remain dark for a day, a week, years, or even a lifetime. Good doesn’t always manifest itself from bad, we need to feel we deserve it and accept it. These are the challenges so many face, and Zart’s Smother makes you think so much deeper about these notions. Great job, Lindy Zart! Can’t wait for the next one. It’s no secret. I love books. 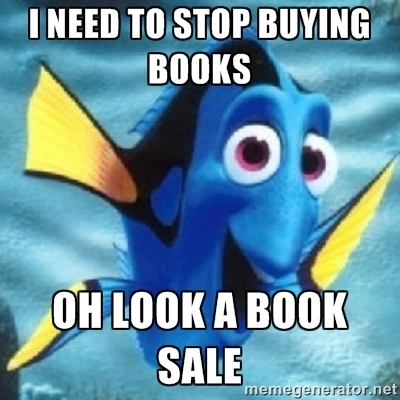 I’m not the only one in my family who has this love of books. It was passed onto my by my family and hopefully my husband and I will pass it onto our little one(s). I dream of owning a house big enough that I can dedicate an entire room to the smaller scale replication of the Beauty and the Beast library. (Lofty dreams, eh?) This type of book collection growth can be a costly hobby unless you know where to look. I am a HUGE fan of used bookstores, those little hole in the wall places that have wonderful deals and great finds. Yard sales are also another place to find a treasure trove of fun books. I like to look at this type of purchase as a kind of adoption, if you will. I’m adopting these previously owned books and bringing them into my family for future love. Until I own that massive, drool-worthy library with built-in bookshelves along all of the walls, I should probably make sure there’s a bit more shelf space in my house, huh?